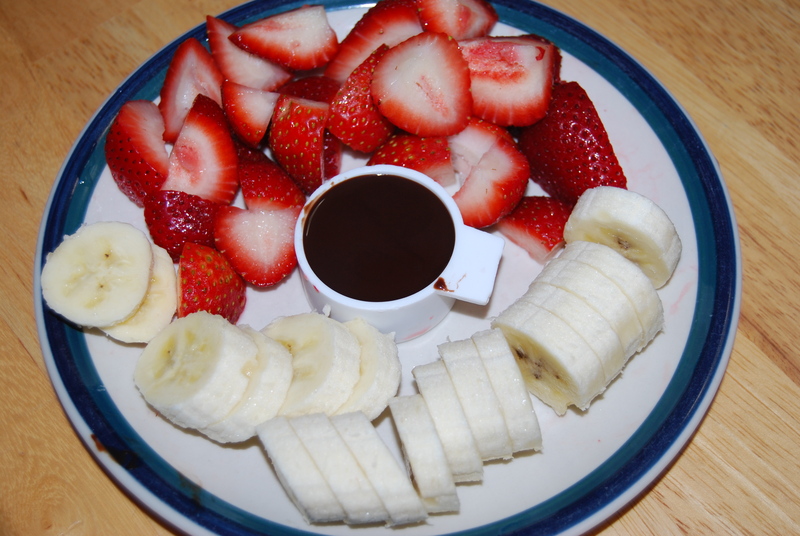 1/8 cup of chocolate syrup helps the vitamin c and potassium go down. It’s sometimes a daily challenge to get my kids to eat fruit. In my house, when a kid stands in front of the fridge with the door open, this is my “go to” snack. If I offer this up before they head over to the pantry, they don’t have time to choose carbs over fruit. This never fails to disappear in my house. And it’s just too easy. The kids can go through a pint of strawberries in the blink of an eye. But that’s kinda the goal. ← this life lesson brought to you for the bargain price of $6.61. Only ONE of my kids likes strawberries (and she’s the one that likes most fruit and veggies and I have to force to eat protein most days), but this idea might be worth a try. Chocolate covered ANYTHING is pretty good in my book! My kids will eat fruit any time day or night, so I’ve been extremely lucky.